Includes; 50:1 RATIO PUMP WITH 3″ AIR MOTOR, DRUM COVER, FOLLOWER PLATE, MATERIAL HOSE, Z SWIVEL CONTROL HANDLE AND BAND DOLLY. Protected Inlet Tube – Thunder grease pumps have 5/16″ inlet holes in the sides of the bottom of the pick up tube. This helps eliminate problems caused by sucking plastic grease drum liners into the pump’s lower section. Lube-Free Air Motor – The air valve and the piston are pre-lubricated. 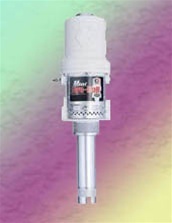 Thunder pumps do not require an air line lubricator. 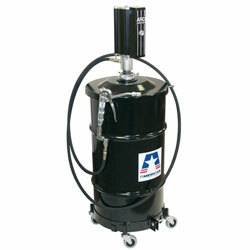 In-Line Service – Thunder grease pump air motors can be serviced in the drum using just a standard wrench. 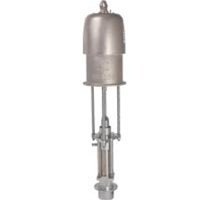 Grease Compatibility – Thunder pumps are compatible with NLGI 0, NLGI 1, NLGI 2 and NLGI 3 grease. Be the first to review “American Lube LP-3004-1 120 LB. 50:1 THUNDER GREASE PACKAGE” Click here to cancel reply.